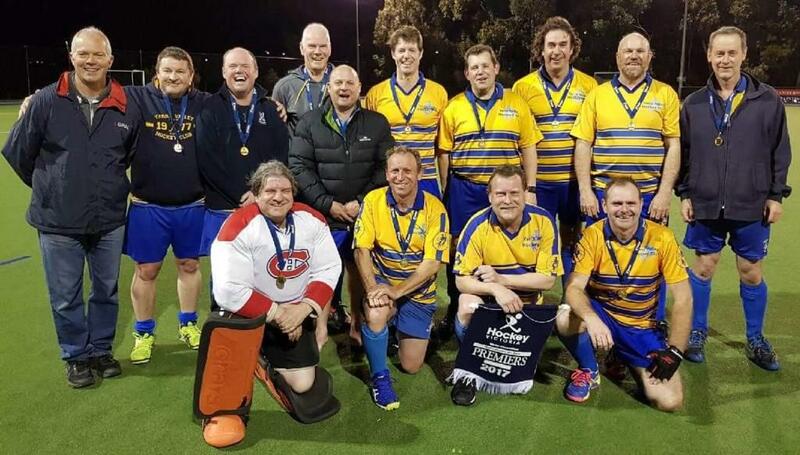 Yarra Valley Hockey Club has a thriving Masters group. New members, whether new players or with previous experience, are warmly invited to join. Perhaps your experience dates back to school days, or maybe you played club hockey in your younger days, but life (work, children, etc.) interrupted a possible stellar hockey career. This is a chance to get back into it. It is important to note that experience is not necessary, or even a good knowledge of the game, just the basics will do. It's a matter of just getting out there and having a run around and building friendships with other parents and players. Yarra will field teams in the HV Men's Winter Monday 45+B and 45+C competitions in 2019. New players are definitely welcome. Yarra will be fielding teams in the Women's Masters 35+B's competition, the Men's Masters 50+A's, a Men's Masters 50+B's and a new team in the Men's Masters 60+ competitions in 2019. New players are welcome.